It’s 1979 and the American embassy in Iran is invaded by revolutionaries. All the Americans are taken hostage with the exception of 6 people who manage to escape the building. Seeking refuge at the residence of the Canadian Ambassador (Victor Garber – Titanic), they are effectively trapped and have no way of getting to US soil. The CIA is eventually ordered to get them out of the country. With few viable options on the table, Tony Mendez (Ben Affleck – The Town) comes up with an audacious plan – pretend to make a fake sci-fi movie named Argo and get the 6 out posing as the films’ crew. With time against him, Mendez has a matter of days to extract the workers before the Iranian army realise they are missing. 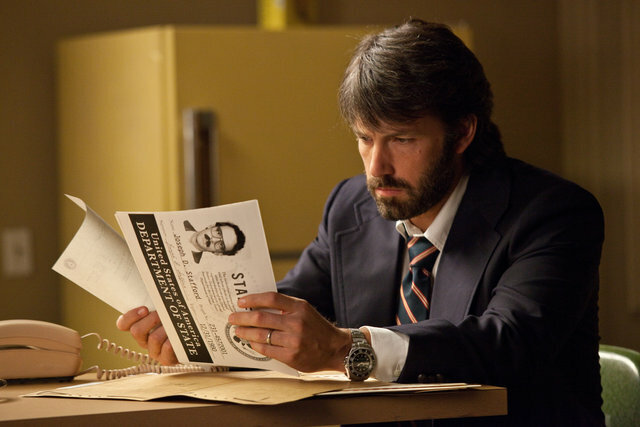 Argo represents a true milestone for director and star Ben Affleck. After a career that threatened to nose-dive after early success, Affleck has managed a remarkable turnaround to become one of Hollywood’s hottest commodities. Following the George Clooney template of success, Affleck has wowed audiences and critics alike with some startling features. 2007’s Gone Baby Gone could have been deemed (unfairly) as a lucky break. 2010’s The Town proved without doubt that this wasn’t the case. The Bostonian crime epic is a modern classic aiming for the highs of Michael Mann’s Heat. It almost gets there too thanks to an amazing cast, tension-filled story and deep emotional core. Argo uses this same structure to portray a quite remarkable true story that hooks you from the start and doesn’t let you go. Argo as a concept is ludicrous and that’s what makes it so engaging. If this was a story of pure fiction it would never have worked – the fact that this actually happened changes everything and gives Affleck the perfect platform to run with a story that’s equal parts crazy and calculated. Affleck the director has a keen eye for detail and certainly knows how to frame shots for maximum dramatic impact. The vibe of the 1970’s is remarkably recreated and evokes comparison to films like All The Presidents Men. 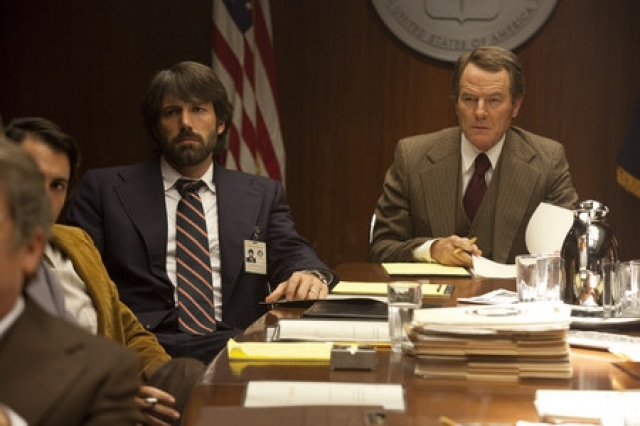 The use of actual film footage throughout marks Argo with a strong sense of realism too. This keeps you on course when the fantastical elements of the story threaten to distract from the perilous nature of the situation at hand. The cast are all superb with Affleck leading the line exceptionally well. Despite Affleck not looking like the real Tony Medez at all, the rest are all made up to look like their real-life counterparts. There’s also a nice close credits sequence that adds a good sense of authenticity to the movie. 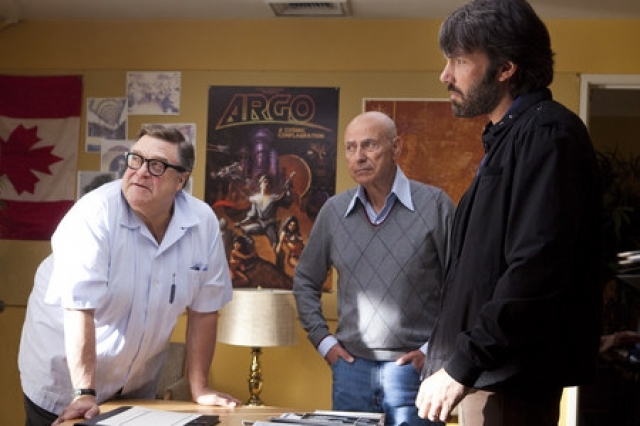 The ever reliable duo of John Goodman and Alan Arkin steal every scene they are in as the Hollywood heavyweights hired to make Argo look like a real production. Victor Garber adds calming authority to his scenes as the Canadian ambassador whilst Bryan Cranston holds down the fort at the CIA with infectious energy and stature. Argo is a wonderful movie full of amazing circumstances, unbelievable situations and remarkable strength. In Ben Affleck it has a true visionary at the helm – someone fast becoming Hollywood’s finest talent. Throw in the fact that this is a true story and you have one of the best films of 2012. Expect Argo to win in every major category come awards season.